SESAM Executive allows high-level users to view and operate the system, using advanced functions that are not available to regular users. Senior managers, administrators, supervisors, and decision makers are able to perform advanced operations both in software and using remote devices-operations such as locking Safe locks using remote control, and viewing hidden cameras. Full control of the entire system is available from the executive position, for example, security, safety, access-control, video, and controlling Safe-locks. 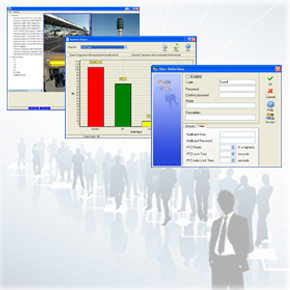 Digital outputs can be turned on/off using the Executive software. SESAM Executive allows you to create advanced reports of the system, with full access to the video archive, events reports, and access control reports.